Only images that contain © pixycars.com watermark or text like ‘By pixycars.com’ are property of pixycars.com. You are allowed to use and distribute those as long as you do not remove any copyright or trademark notices or other notices that go with them as defined in the Free Culture License. Other than that all images published on this website are copyrighted by their respective authors. For content usage rights please read Disclaimer. This document outlines what constitutes acceptable use of the pixycars.com web site, it’s associated web services, and server infrastructure. It also covers our content moderation policy and what you can expect regarding performance and availability. If you have questions about what you are legally permitted to do with content found on this web site, please consult our Copyright Policy. Direct hyper-linking to images and other large files hosted by pixycars.com is strictly prohibited without our permission. You may of course link directly to individual HTML or XML based web pages. Direct linking to our small preview images is permitted but not guaranteed. 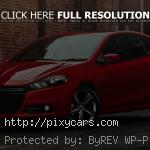 pixycars.com is a community supported web site, relying on its user community for the bulk of its primary content. Currently we accept content submissions in the form of desktop wallpapers. In order to maintain the quality of our content offerings, only a subset of submissions are selected to be published to publicly accessible portions of the web site. Some of pixycars.com’s content may be commented on publicly, with user-submitted text appearing directly on the site, associated with the appropriate content. It is the intention of the operators and architects of this site that the commenting feature be used only for constructive feedback and other discussions directly related to the content in question. It is not to be used for personal insults, explicit or implied, off-topic discussions, racially or culturally insensitive material, sexual content, or other material not suited for a family audience including small children. Additionally, we ask that personally identifiable information not be posted to the web site, regardless of whether it pertains to yourself or another individual. Children under the age of 13 shall only post comments or other content under the supervision of a parent, guardian, or other responsible adult. We reserve the right to moderate the content posted on pixycars.com, both during and after the submission process. The moderators may delete or edit content at any time, manually or via automated means including the use of user-generated data to determine what is and is not acceptable to our audience. Moderation criteria may vary over time. The operators of the web site make a reasonable attempt to maintain the availability and performance of pixycars.com and its associated services. However, up-time and accessibility cannot be guaranteed. The web site may occasionally be inaccessible, in whole or in part, due to planned or emergency maintenance, feature upgrades, bug fixes, server migrations, hardware upgrades and failures, or simply to prevent unauthorized use, hacking, or exploitation of the web site, or its resources. pixycars.com, its owners, employees, contractors, and partners shall not be held legally liable or financially responsible for any loss, damage, or injury incurred as a result of the use or existence of pixycars.com, its associated sites, content, services or infrastructure. That being said, if you have any concerns about the web site, please make them known to the operators via Contact Us link.